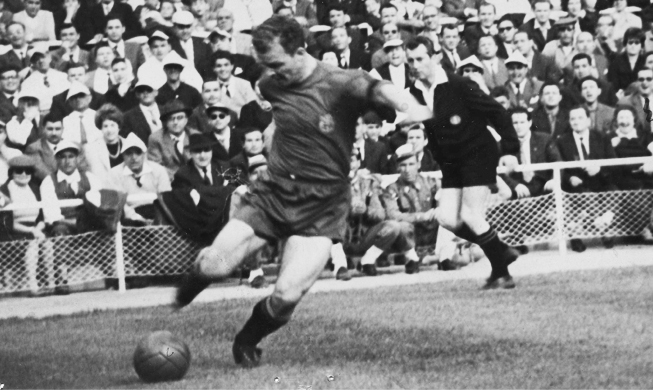 Ladislao Kubala was born in Budapest, Hungary, on June 10h 1927 and played for three national teams (Czechoslovakia in '46-'47, with Hungary in 1948 and with Spain since 1993). Throughout his career in our country, Kubala passed away in 2002, he scored 11 goals with the National Team in the 19 matches he played, although he never got to take part in a World or European Cup. After Communism's take over in Hungary, he fled the country in 1949 and became part of the expat 'national side' , made up of different E-block countries, but that adopted the name of Hungary. They played friendlies at the beginning of the 50s throughout Europe. 3-. He made his debut with Spain on July 5th 1953 (61st anniversary) in a match against Argentina in Buenos Aires. Como recuerda Alfredo Relaño en el diario As, "se llamó por primera vez a Kubala, nacionalizado español (previo bautizo en Águilas, el pueblo del que a su llegada era presidente de la Federación, Muñoz Calero) y despistando el hecho de que aún no cumplía el requisito de llevar tres años completos de residencia. Para dar más emoción al asunto, Kubala había superado ese mismo año una tuberculosis que fue noticia nacional, y por la que se llegó a temer que tuviera que dejar el fútbol". 4-. Kubala was the National Team Manager who led the team for most years in a row. 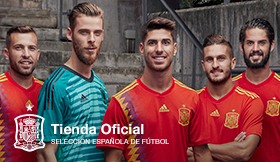 They were eleven uninterrupted years where Spain played at the 1978 Argentina World Cup and the European Cup in 1980. Kubala was manager in 68 matches, 36 of them official and achieved 31 triumphs, 21 draws and 16 losses. Ladislao Kubala was a friendly coach with his players whom he treated with exquisite tact. "He was a gentleman and a person who defended football above all. All of us who got to be around him have a very fond memory of him." With these words, stated at the press conference prior to the 2013 match against Uruguay in Doha, Vicente del Bosque recalled Kubala who managed the squad in the 70s. Vicente del Bosque, who in 2013 beat the number of matches managed by Kubala, remembered that time where "he was very paternal with the players. He was uninterested, willing to help with anything. I remember he had the habit of giving a cap to every player who would debut with the National Team, it's a very popular tradition in England."